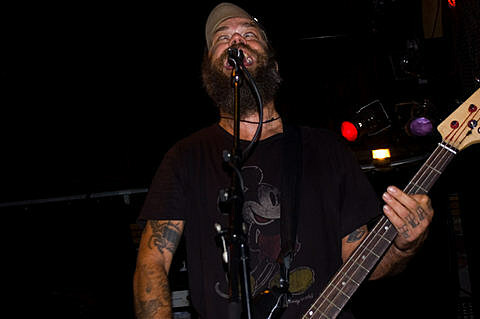 As posted on BrooklynVegan, we are proud to sponsor the US tour of Hail! Hornet, the Southern supergroup consisting of “Dixie” Dave Collins (Weedeater, Buzzov*en), Erik Larson (Alabama Thunderpussy, Parasytic), Vince Burke (Beaten Back to Pure) and T-roy Medlin (Sourvein, Buzzov*en). 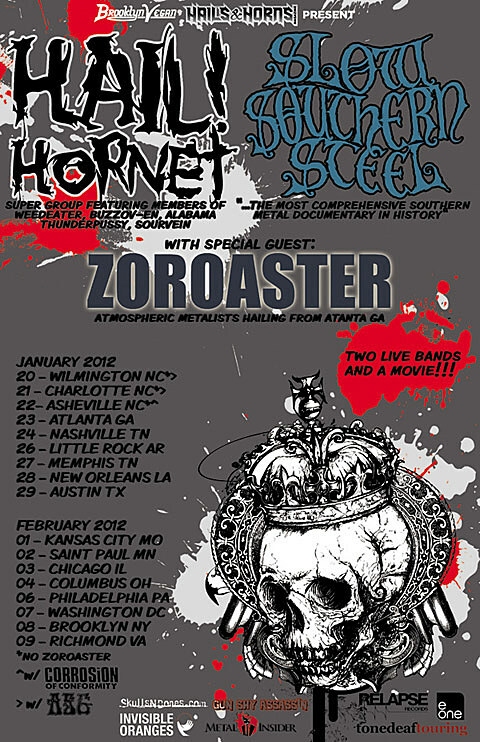 The show will also feature an appearance from Zoroaster and a screening of Slow Southern Steel, which made its East Coast debut in August, and which was directed by CT of Rwake. Pencil in Feb 3rd at Reggie’s Rock Club on your calendar and get your tickets, on sale now. If you missed it, Rwake’s Rest made both the Decibel and Pitchfork favorites of the year.